Office: Max Gluskin House, 150 St. George Street, 327. Phone: 416-978-6541. Fax: 416-978-6713. Office: University of Toronto, Mississauga, 3254. Phone: 905-828-3908. 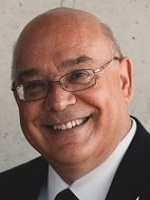 Angelo Melino, "Measuring the cost of economic fluctuations with preferences that rationalize the equity premium", Canadian Journal of Economics 43 (2010), 405–422. Angelo Melino and Stuart M. Turnbull, "Pricing Foreign Currency Options with Stochastic Volatility", in Stochastic Volatility: Selected Readings (edited by Neil Shephard), Oxford University Press, 2005, 239–265. Angelo Melino and A. Yang, "State-dependent preferences can explain the equity premium puzzle", Review of Economic Dynamics 6 (4) (2003), 806–830. Angelo Melino, "Estimation of a Rational Expectations Model of the Term Structure", Journal of Empirical Finance 8 (5) (2001), 639–668. Michael Baker and Angelo Melino, "Duration Dependence and Nonparametric Heterogeneity: A Monte Carlo Study", Journal of Econometrics 96 (2) (2000), 357–393. Listed in "Who's in Who in Economics" (4th edition) based on citation count, 1990-2000.